That was about historical era, in today’s world, swords are either kept for collection purposes i.e. 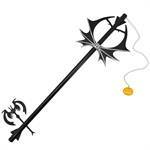 for displaying or they are used in LARP or Cosplays. 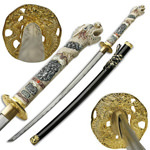 People who collect them and spend so much on them are totally crazy over the elegance and history of swords. 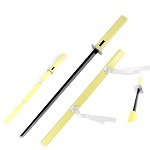 Swords are even passed down from generation to generation as family heirlooms. Hey, let me ask you ask you a question. Are you a fan of swords? 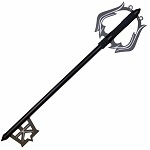 Someone who love the art of swordplay and are looking for a decent sword for yourself? 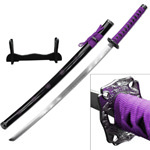 You have reached the right page then, as we at Wholesale Blades stock the widest collection of elegant and real swords at the most affordable rates. 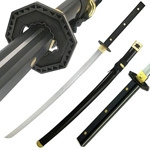 Wholesale Blades brings its customers visually appealing swords that feature top quality construction. 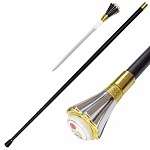 Our real swords are beautifully crafted and are one of our best seller products. The variety is endless and you are sure to find the sword you desire from our collection. 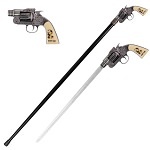 No matter whatever your interests are, our real swords collection will serve you right. 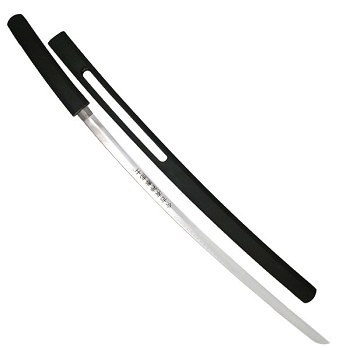 We have the swords of the vigilant Samurais featuring tanto blades, rounded hilts and slight curve in their blades. We also have Ninja swords which are dead straight and are square guarded. 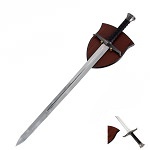 Other than these we stock the most graceful and impressive swords of the Medieval Era. These Medieval swords include beautiful pieces of history i.e. The Excalibur, The Claymore, The Gladiator sword, The Viking Sword and so much more. These real swords replicas are constructed in the same way as the original ones and will take you back to the era they belong to. If we come out of history, into the modern world, then we have the most impressively designed movie swords and anime swords. 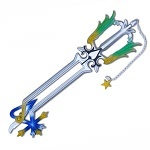 Yes, you heard it, we have the swords of your favourite movie hero and of your favourite anime character as well. From the famous walking dead sword, Elf Warrior dual swords, Urahara Kisuke sword, Altair sword to Kirito sword, we have them all, crafted in the most intricate way and available at the most affordable rates. We at Wholesale Blades stock battle ready swords featuring fine and razor sharp blades made up of top quality stainless steel that you can use for collection purposes. Hanging them on your wall is going to bring elegance to your space and will also make your guests appreciate your taste. 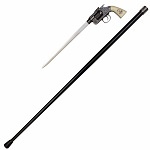 However, if you are not a fan of battle ready swords and care about your safety, then you can try our foam or wooden swords. 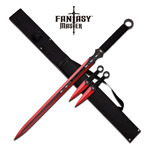 Our foam swords are exact replicas of the real swords and even they are made up of foam which makes them very safe, they are so intricately designed that they look like real swords. 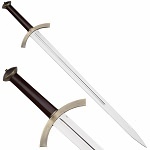 These swords are the perfect pieces to get for LARP and cosplay and will beautifully fit into your knight's or warrior’s or anime character’s costume. 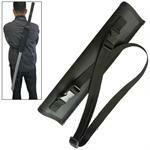 We care about your safety and that is why our swords come with safe and durable scabbards which are also nicely done. 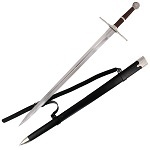 Mostly we stock leather scabbards and you can carry your sword safely in them without injuring yourself or anyone else around you. 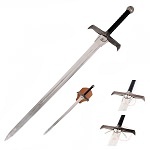 Our real swords for sale are the most authentic ones and look so much like the original ones that they will make you want to drool over the beauty of them. And they are available at very cheap rates. Yes, you heard it right. 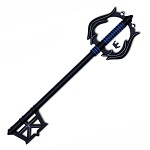 So, browse our collection of the best, visually appealing real swords for sale and have your pick now at extremely low rates. 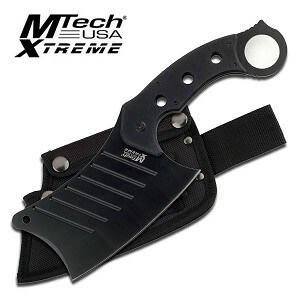 Wholesale Blades is the best wholesaler and dropshipper of real swords for sale. We bring top quality products and reasonable rates to our customers and the best offers as well. Now, if you buy six or more pieces of the same sword from us, you can avail a FLAT 20% Off that sword. Our breathtaking swords feature top quality construction and we assure you that you will keep coming for more. We also bring the most superb dropshipping services to our customers as we offer FREE Membership and Dropshipping services to our customers. Yes, you heard it right. You are not going to find an offer like this anywhere else. 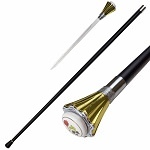 Browse our collection of the best swords for sale and make your business successful with us.